Maine currently has one waiver that is open to children, a TEFRA program, that waives parental income. 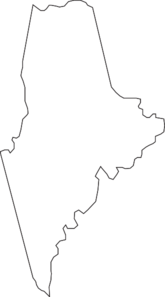 Maine also has an HIV demonstration program and several adult-only waivers, including Elderly and Adults with Disabilities, Consumer Directed Personal Assistance Services, Home & Community Services for Adults with ID or Autistic Disorder, Support Services for Adults with ID or Autistic Disorder, HCBS for Adults with Other Related Conditions, and HCBS for Member with BI. Income Waiver: Yes, the program is based on the child's income only. However, Maine imposes a parental premium for families who earn more than 150% of the federal poverty line. How to Apply: Apply through the Department of Health and Human Services.